Lloyd Lawlor believes his government-paid taxi service was halted because he moved to Bell Island from St. John's. A man living on Bell Island says he'll need to walk to Topsail Road in St. John's — and back — in order to receive his treatment for opioid dependency now that his free taxi allowance has been cut off. It's 30 kilometres each way. Lloyd Lawlor is trying to get things back on track. Originally from Paradise, he started abusing drugs almost two decades ago. "I got hooked on OxyContin when I was really young, when I was a teenager," said Lawlor. Now 33, Lawlor is taking Suboxone, a medication used to treat opioid dependency. But since getting to his treatment has become more difficult, the fear of symptoms associated with opioid withdrawal hang in Lawlor's mind. "The symptoms of withdrawal are beyond. You hallucinate. You actually see things. You are physically vomiting. You lose your bodily functions," he said. "You are both throwing up and pooping both ways and it is all like water. It makes you think you are suicidal. I am not a suicidal person, but it makes you feel stuff you've never thought of before." Lawlor worries about slipping back if he can't get his Suboxone treatment at Shoppers Drug Mart on Topsail Road. He said he's been on the treatment since last fall. Two months ago,Lawlor moved from St. John's to Bell Island, and says because he moved, the government-paid-for taxi he relied on was discontinued. "This has been a complete nightmare for me," Lawlor said, trying to understand why his transportation allowance was cut. 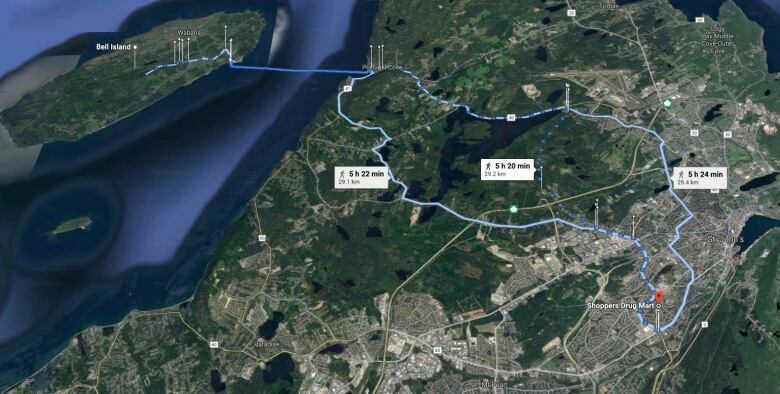 If he can't secure transportation, Lawlor said, he could be left having to walk to St. John's and back in order to receive the Suboxone allotted for him. And because he lives on Bell Island, his commute now also includes a ferry ride. He said he's been speaking with people from government, at the departments of Health and Community Services and Advanced Education and Skills. This latest bump in the road reminds Lawlor of how fragile the treatment regimen for opioid use disorder can be, adding it's making him think of how many people he knows who need more help than he does. "Out of my friends I would say eight out of 10 [need help]," he said. "I know some people that is actually going through hell, and they're trying to get help and they're going through hell and high water." Lawlor said despite what efforts people think are being made in the health-care system to help addicts, many barriers still exist. "You go into a facility and there are all these posters [that say things about mental health help]. They are not helping nobody," he said. "They are turning people away and people are actually going to kill themselves. They are out robbing banks, and using drugs and using IV drugs, getting on stuff that they never ever did before. These are … good people, hard-working people who've lost their homes, their families, all because the system are turning people away." Not far from the house Lawlor lives in on Bell Island is Family Drug Mart, Bell Island's only pharmacy in Wabana. 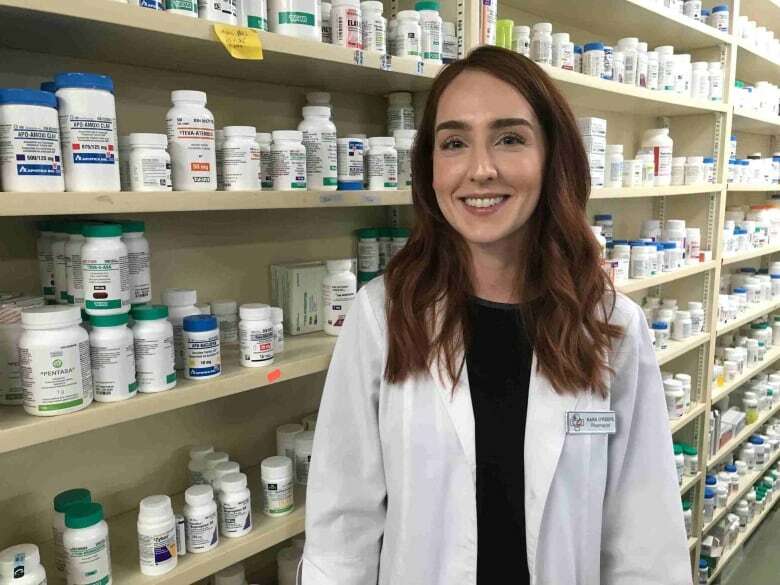 Kara O'Keefe, a pharmacist at Family Drug Mart, has been advocating for Lawlor while trying to ensure he stays on his treatment plan. "We have an instance where a patient's care and their access to health care is being impeded, and this has been an issue for a number of patients in the last little while who have been trying to get treatment for opioid dependency," O'Keefe said. "This patient was stabilized, receiving treatment that he needed, and he was interrupted unnecessarily and that puts him at risk for relapsing." O'Keefe said Family Drug Mart is not able to dispense Suboxone because of staffing and resources. 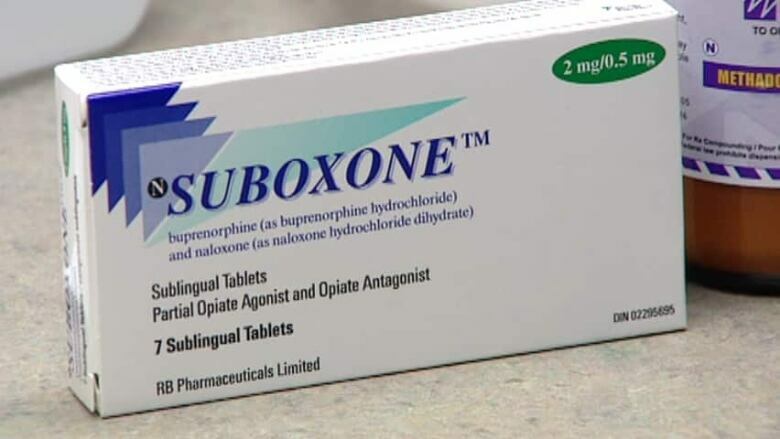 But it is being offered from a new opioid dependency treatment clinic that opened earlier this spring at the Dr. Walter Templeman Health Care Centre. Rod Drover, Eastern Health's media relations manager, says due to the way the new clinic is set up, only new patients who have not received help yet in their journey to sobriety are being seen. 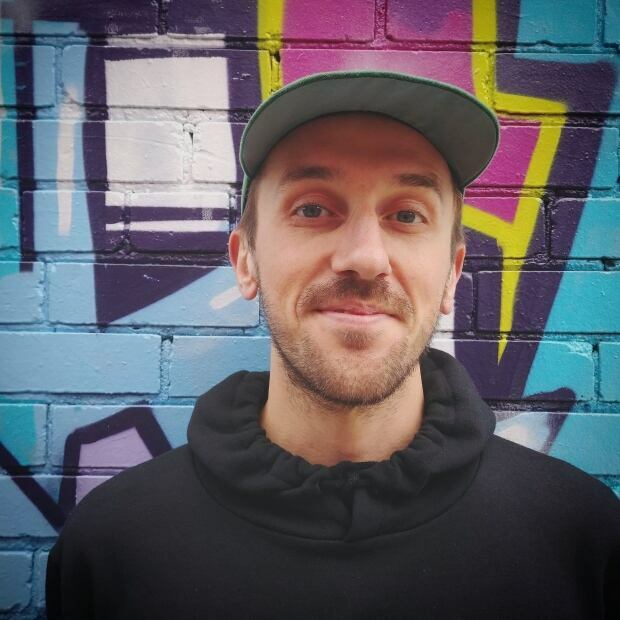 "As the new clinic opened last week, new clients who have not received prior treatment are being given initial priority," Drover said in an email to CBC. 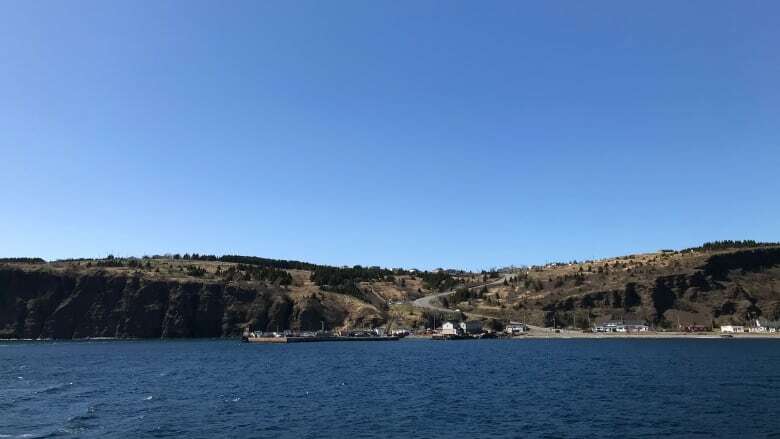 "Clients already receiving treatment from another location will continue to receive treatment from that location and will be gradually added to the program on Bell Island should they wish to do so." The specific opioid treatment clinic in Bell Island's hospital has three doctors, a mental health nurse, an addictions counsellor, social worker, pharmacy personnel and several nurses. Drover said 17 people have signed up so far to receive care from the clinic. As for Lawlor's transportation issue to his existing clinic on Topsail Road, Drover said that would be under the purview of the Department of Advanced Education and Skills. CBC News has asked AES for information about Lawlor's transportation and is waiting for a response. Lawlor says his Suboxone treatment has been working better than the methadone he was previously taking. As Lawlor is left wondering about how he's going to make his weekly Suboxone treatment, O'Keefe thinks about all the other people who need help with opioid use but can't access it. "If you have 50 to 70 people just on [Bell Island] who require treatment, then when you extrapolate that to the rest of the province it is a pandemic," O'Keefe said. "If this were any other type of other disease, if we had 50 patients of a small community who had been diagnosed with some sort of cancer or some sort of rare heart condition, this would have been dealt with long ago." In the meantime, Lawlor said, he's trying to make positive changes in his life. "Since I changed to Suboxone everybody that knows me say they can see I've changed back to myself," said Lawlor. "I'm trying to find work. I am actually out in the community trying to get things done right." If you, or someone you know needs help with addiction, call the Recovery Centre at 709-752-4980 for information and advice. Additional mental wellness supports are available by calling 709-737-4668 or 1-888-737-4668. Kenny Sharpe is a journalist with CBC News.